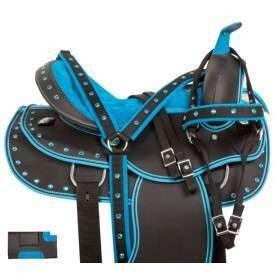 Western saddles made of heavy duty synthetic material are lightweight and a breeze to clean! 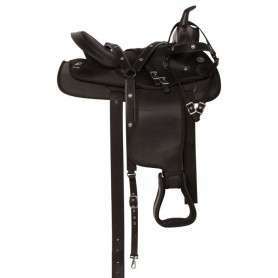 This lightweight black synthetic saddle makes it the perfect choice for beginners and trail riders! 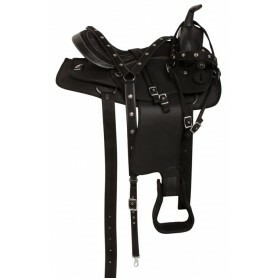 It is easy to clean and little maintenance is required. 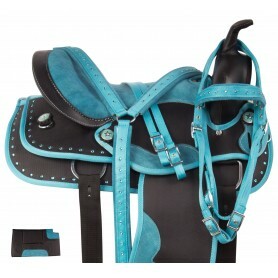 This saddle comes complete with a matching tack set for only $199.99 today! 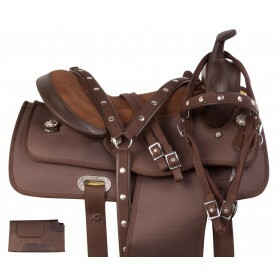 This lightweight brown synthetic saddle makes it the perfect choice for beginners and trail riders! 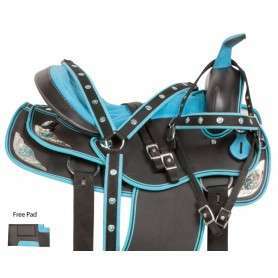 It is easy to clean and little maintenance is required. 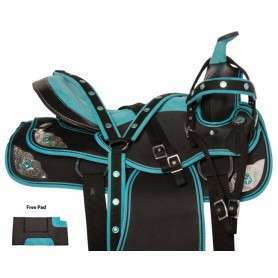 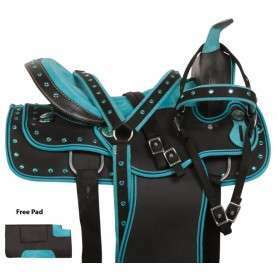 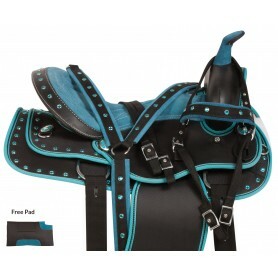 This saddle comes complete with a matching tack set and pad for only $199.99 today!